Start with compassion for victims while trying to understand the circumstances that led to horrific abuses, one former Artane boy turned singer has stated about clerical abuse such as that highlighted recently in the Pennsylvania Grand Jury report and elsewhere. He added that the difficulty of “forced celibacy” on people who have “power over children” is evident all around the world. When his friend Paul O’Reilly from Dolphin records asked about including one of his songs on the CD associated with Pope Francis’ visit to Ireland, he had no objections. 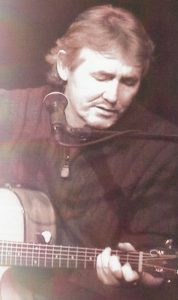 He described that song, “When Tommy Bonner Sang”, as one of the most important songs he has ever written. The song evokes the moment when Danny Ellis heard a young boy sing the “Kyrie” at Mass. It prompted him to join the Artane Boys’ Band and discover his own talent and what he calls his “saving grace”. He explained that Tommy Bonner’s voice was very strong, but there was also something very vulnerable about it that touched all the boys in Artane. “Tommy was actually a champion boxer and to hear one of our school heroes sing with such sincerity really had a deep impact on us. There wasn’t much sincerity or honesty with regards to how we felt in Artane and most of us walked around pretending to be cool and tough. When Tommy sang all of that melted away,” he said. Danny Ellis became a musician, singing with the Miami Showband and the Nevada Showband of that time and with Dickie Rock. He went to live in America and in recent years composed and recorded songs about his time in Artane for the 800 voices CD. Since the album was released, he was reacquainted with Tommy Bonner. This came about when Tommy Bonner’s son Kevin heard the song while he was researching Artane and brought the two former Artane boys together. “Tommy and I have been in touch since. He was enormously touched and surprised that he had had such an effect on the boys in the orphanage. He had no idea how much of an inspiration he was to us all,” Danny Ellis said, adding that it was wonderful for him to be able to let Tommy and his family know this and describing it as “a testament to the healing power of music”. 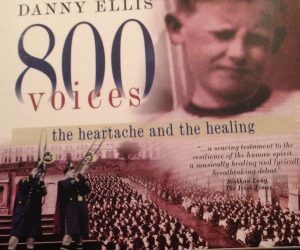 The need for healing came from Danny Ellis’ difficult early life. His mother, who found it hard to cope on her own with five children when his father went to America to work, placed him in Artane, promising to come back at Christmas. But she never came back and no one thought to tell him that his own brother was also in Artane. Today he is in contact with and has what he called a “wonderful relationship” with his sisters. “Both of them are very strong and despite the residual angst that most orphanage survivors must deal with, have a very healthy attitude towards their own orphanage experience. I have lost touch with my half-brothers,” he said. Now he lives a full and happy life in America and has been married for 30 years. He continues his career as a songwriter and musician and is involved in teaching, singing, songwriting, and general “musicology”. “I’ve always been able to do what I love and make a living out of my music. The orphanage, at least, gave me that much, and for that I am very grateful,” he concluded.